MedLit#45+ is a strategic partnership project in the field of adult education that is funded with the support of the Erasmus+ of the European Union, aiming to promote the skills development, employability and inclusion in the labour market of low-skilled and low-qualified adults. 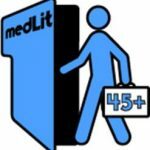 MedLit#45+ intends to develop the digital competences of low-skilled/low-qualified unemployed adults 45+ through innovative tools so that they are motivated and able to build a robust online professional identity to strengthen their access to employment. Furthermore, the project intends to enhance the knowledge of employment and career counselors and/or relevant authorities, organisations & companies working with low-skilled/low-qualified unemployed, by equipping them with a new approach & tools for supporting and interacting with middle-aged unemployed persons through social media. Enhanced media & digital literacy skills and competences of at least 100 (in total) low-skilled/low-qualified unemployed persons over 45 in Greece, Italy, Portugal, Romania & Spain. Increased use of social media for professional purposes by the trained low-skilled/low-qualified unemployed persons over 45 in Greece, Italy, Portugal, Romania & Spain. Employment/career counsellors, PES, VET providers, recruiters and/or other professionals working with/providing support to low-skilled/low-qualified unemployed persons equipped with new tools and methodologies that can facilitate the (re)integration of unemployed persons over 45 in the labour market. Enhanced awareness and knowledge (through workshops and other dissemination means) of at least 100 (in total) employment/career counsellors and relevant professionals in Greece, Italy, Portugal, Romania & Spain, on using the new tool and methodologies to provide tailor-made services to their target group.